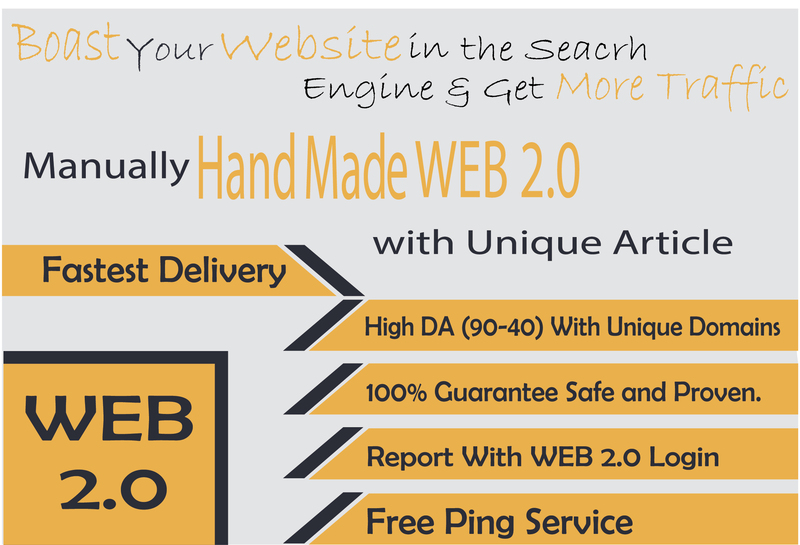 Manually Create 25 Hand made web 2.Backlink With High DA(90-60) . Distinctive areas of expertise . Each Site Contain High DA & Also a High PR Sites. 100% Guaranteed, Reliable & long lasting Web 2.0 Subbmission That ranks your website to the top of the google front page. Boast Your Website In the Search Engine & Get Most Traffic.